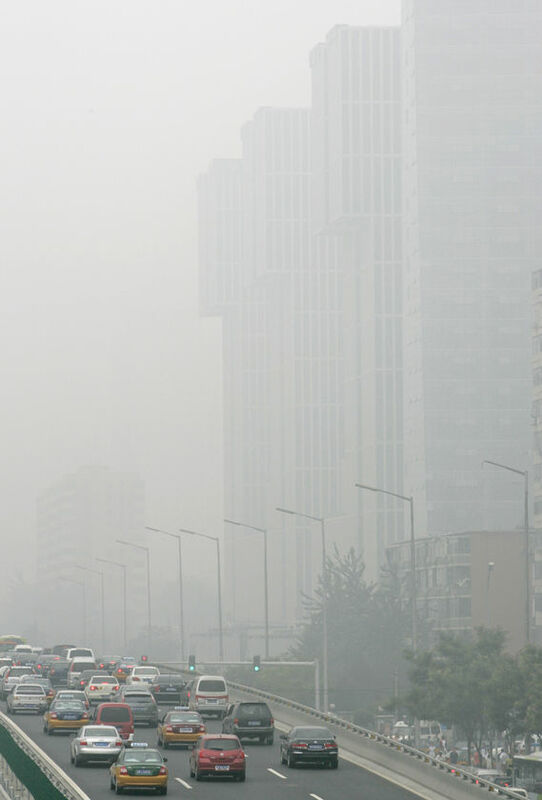 Weighty Matters: Is air pollution responsible for rising rates of diabetes? Is air pollution responsible for rising rates of diabetes? A recent study says so. The study, Traffic-related Air Pollution and Incident Type 2 Diabetes: Results from the SALIA Cohort Study set out to look at 1,775 non-diabetic middle aged women and their incidence of developing type 2 diabetes over a 16 year period as a function of their exposure to traffic-related air pollution. The study was conducted in Germany and the authors hypothesized that particulate matter air pollution may promote the development of type 2 diabetes with the proposed mechanism having to do with the development of subclinical inflammation in response to the pollution and that in turn impairing glucose metabolism. The researchers compared women leaving in the "highly industrialized" Ruhr district those living in two rural reference counties. They controlled for socio-economic status, smoking, second hand smoke exposure, occupational pollutant exposure, home heating with fossil fuels, and body mass index. The main outcome measure of the study was a physician's diagnosis of diabetes during the course of the study. Living closer to traffic was associated with a 15% increased relative risk of developing type 2 diabetes for every increase in interquartile range in particulate matter or nitrogen dioxide. So, should you move to the country? Not based off this study. Two huge flaws. The first? The end point was physician diagnosed diabetes. Sounds like a fair end point but having worked in rural and urban centres I can tell you the access to physicians in rural settings is not comparable to urban ones. Consequently without controlling for physician visits (or even having a physician) this study may simply be a reflection of the fact that the rural folks don't have physicians to actually diagnose them with diabetes. The second? And this one should have been a deal breaker for the peer reviewers, the study didn't control for diet. Given the incredible impact of diet on the development of type 2 diabetes, not controlling for diet in a study looking at the development of type 2 diabetes is rather mind boggling. Diets with consumptions of the highest quartile of refined carbohydrates confer a 400% relative risk increase in the development of type 2 diabetes when compared diets inclusive of the highest quartile of whole grain consumption. Given the differences in availabilities of fast food and farm fresh foods in urban versus rural settings, and given the small relative risk increase found in this study, there's no doubt diet differences could easily account for all of it. So, while there may indeed be ills associated with air pollution, this study does nothing to suggest that diabetes is one of them.